We only work with the best brands of their industry. 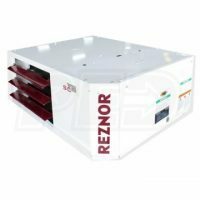 Feel free to book a free estimate for your project and our expert will come by and suggest you the most suitable equipment brand, model and size, depending on your house size, air quality, your budget and your other needs. Check out the list of the equipment we work with and feel free to contact us so we can recommend you the best fit for your house. 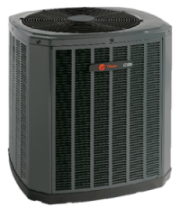 Discover what makes Trane America’s and Canada’s Most Reliable HVAC System. The XV20i air conditioner is one of the industry’s most efficient systems, with ratings up to 22 SEER. With Trane TruComfort™ technology, the 22-SEER air conditioner automatically adjusts itself while maintaining constant and consistent speeds to avoid temperature swings. 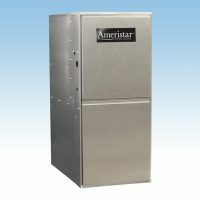 Ameristar 13 SEER units meeting Regional Efficiency Standards required for sale in northern U.S. and Canadian locations are available in R‑410A models only, 1.5 – 5 ton models available. 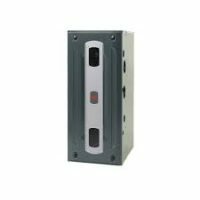 Units operate quietly, with a maximum sound level of 76 decibels, 24V low‑voltage control provides added safety. The compact design and small footprint are ideal for homeowners with limited yard space. Painted, galvanized steel cabinets resist rust and stand up to weather. 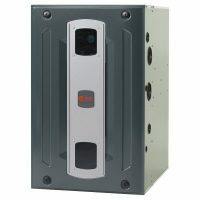 Industry-changing cabinet designThe S-series furnace cabinet is designed to accommodate virtually any home, and is certified to be airtight to less than 1%. 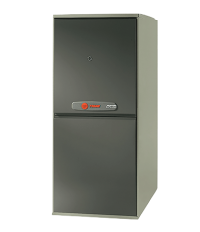 The new S9X2 furnace offers two stages of gas heat for comfort in cold weather, and a CTM blower for maximum efficiency in warm weather, while maintaining the quality and reliability that Trane is known for. Up to 96% AFUE – fuel efficient design. Quality construction, solid performance, Ameristar systems will deliver real value for years to come. Furnace with variable speed blower. 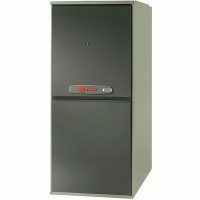 All furnace models meet EnergyStar requirements. 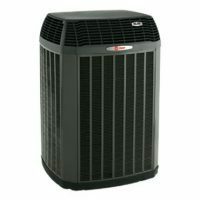 The Ameristar line of heating and cooling products offers you flexible and affordable options for HVAC equipment replacement. The Ameristar product line should complement the national brand you are selling and provide an opportunity to capture additional volume and market share with today’s budget-conscious consumers. 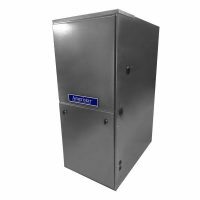 – 95% furnace models feature aluminized steel heat exchangers to conduct heat quickly and increase durability. M952V furnaces are condensing furnace. -Ameristar furnaces are built for flexibility to suit varied installations. – 95% furnaces are fully convertible to either natural gas or propane, making them suitable for use in any area. – M95V2 models meet EnergyStar requirements. – Base Limited Warranty Period: Parts – five (5) years, Heat Exchanger – twenty (20) years. – Registered Limited Warranty Period: Parts – ten (10) years, Heat Exchanger: twenty (20) years. 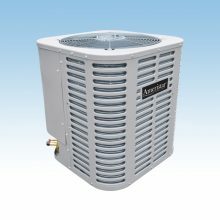 The Ameristar line of heating and cooling products offers you flexible and affordable options for HVAC equipment replacement. The Ameristar product line should complement the national brand you are selling and provide an opportunity to capture additional volume and market share with today’s budget‑conscious consumers. –All furnace models feature a standard silicon nitride igniter. 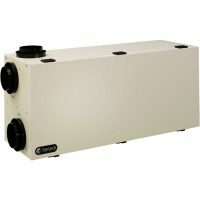 – 95% furnace models feature aluminized steel heat exchangers to conduct heat quickly and increase durability. –Ameristar furnaces are built for flexibility to suit varied installations. –Galvanized steel cabinets resist corrosion. For more than 2 decades, Fantech has been researching, designing and bringing to market “Ventilation Solutions” that ensure better indoor air quality in the buildings where we work and live. 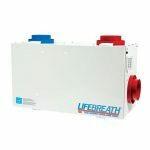 As Fantech’s most compact, full-featured HRV, the VHR 70 unit brings a continuous supply of fresh air into a home while exhausting an equal amount of contaminated air. During winter, fresh incoming air is tempered by the heat that is transferred from the outgoing air so you save on energy costs, while during summer, the incoming air is pre-cooled if the house is equipped with an air cooling system. The VHR 70 is equipped with automatic defrost mechanisms so you can use your HRV all year long. 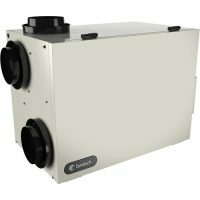 Fantech’s answer to a heat recovery ventilator (HRV) for house projects that demand higher efficiency, the VHR 150R with oval collars is designed for higher static pressure applications and is Energy Star qualified. 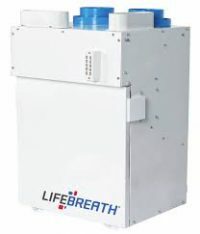 The unit brings a continuous supply of fresh air into a home while exhausting an equal amount of contaminated air. During winter, fresh incoming air is tempered by the heat that is transferred from the outgoing air so you save on energy costs, while during summer, the incoming air is pre-cooled if the house is equipped with an air cooling system. 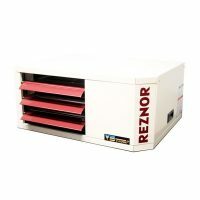 The VHR 150R with oval collars incorporates a unique and quiet internal recirculation defrost that does not depressurize the home during the defrost cycle. 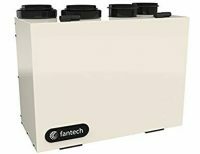 Fantech’s larger residential, full-featured HRV for large house projects that demand higher efficiency, the VHR200R is designed for higher statis pressure and higher airflow applications. During winter, fresh incoming air is tempered by the heat that is transferred from the outgoing air so you save on energy costs, while during summer, the incoming air is pre-cooled if the house is equipped with an air cooling system. The VHR 200R is equipped with a recirculation defrost mechanism so you can use your HRV all year long. 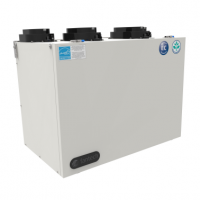 Fantech’s largest residential, full-featured HRV for large house projects that demand higher efficiency, the SHR 2005R is designed for higher static pressure and higher airflow applications. Fantech’s new Energy Star Qualified VHR200R-EC was specifically designed for residential applications with airflows that range from 80 cfm to 200 cfm. Equipped with top of the line components; such as ECM motors, Belimo damper and MERV-13 filters, the VHR200R-EC stands above the rest. The VHR200R-EC utilizes a MERV-13 pleated filter for the supply air. The MERV-13 filter will filter particles as small as 0.3μm such as: bacteria, droplet nuclei, cooking oil, most smoke and insecticide dust, most face powder, most paint pigments. The SHR 3005R’s double core configuration provides the greater thermal efficiency needed for homes being built to a higher energy standard. The incoming air passes through a first, then a second heat exchanger to provide maximum heat recovery. During winter, fresh incoming air is tempered by the heat that is transferred from the outgoing air so you save on energy costs, while during summer, the incoming air is pre-cooled if the house is equipped with an air cooling system. Top port, compact unit. Ideally suited for tight installations. Highest efficiency in its class. Features a highly efﬁcient energy saving ECM motor, door port balancing and the new high efﬁciency HEX core. Air quality and energy performance at its best. Highest efficiency single core HRV on the market.